This traditional path no longer fits contemporary experience, as workers need time for family or personal care, want a life as well as a job, find themselves suddenly laid off, require a skill update to compete in today’s labor market. Moreover “retirement-eligible” workers confront both the benefits and economic/health risks of living longer. Moen, in her new book Encore Adulthood, finds the traditional lock-step path no longer fits with Boomers either. The title signals what Moen argues is a new life stage, “sandwiched between the traditional careers/childrearing years and the debilities associated with old age.” Moen writes that the bonus years of life expectancy due to medical advancements and lifestyle changes are coming not at the end of life but sometime between the ages of 55 and 75. 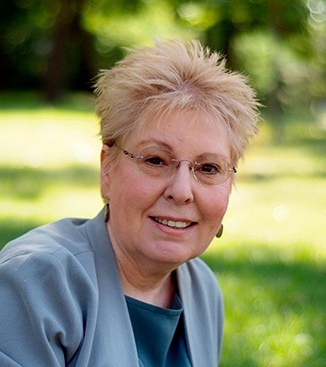 Researching her book, Moen met and spoke with adults now experiencing encore adulthood. “They are not thinking of themselves as old. It’s a diverse group wanting second acts, but finding no ready-made scripts.” Boomers are more educated, feel healthier, and living longer than previous 50-, 60-, and 70-somethings. Not content to sit on the couch, Moen finds most Boomers want to remain engaged. “They are seeking jobs or volunteer gigs that are both flexible and meaningful. Surveys show seventy percent of Boomers want to work, but the kinds of flexible jobs they want aren’t out there. 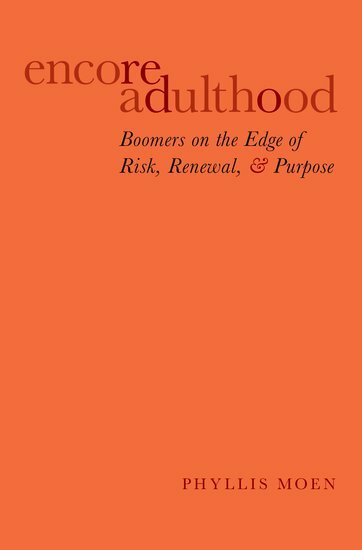 We have a group of highly skilled workers, but no blueprint for how to use those skills in ways that can benefit both Boomers and society.” Moreover, she draws on Current Population Survey data to document the disparities in resources and risks at this life stage. As to who will tackle these changes, Moen suggests that leaders in governments, business organizations, and non-profits need to try out innovative ways of working. Colleges and universities can open up options for people of all ages to upgrade their skills or develop new expertise. All levels of government, which employs 15% of the U.S. workforce, could be models of reinvention for other employers.